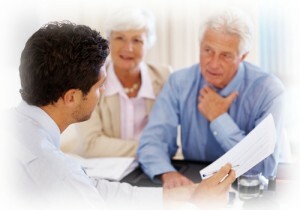 Writing a will does not need to be a costly experience. Our will writing service is designed to offer you the most convenience and flexibility, whilst providing a professional cost effective service. Our wills cost only £95+VAT for a single will, or £160+VAT for a joint (mirror) will. Included in this fee is a home or work visit from an Estate Planning Consultant, who will discuss your requirements and give you the confidence that your affairs are in order and that any potential future issues have been addressed.writing service is designed to offer you the most convenience and flexibility, whilst providing a professional cost effective service. Preparing a will allows you to determine who will inherit your estate after your death. Without a will you run the risk of the wrong people benefiting from your estate, increasing costs and delaying your beneficiaries from receiving their inheritance. Whether your estate is large or small, complicated or straightforward, The Will Writing Service can help to make sure that your property and possessions are left to the people that you love. Without a business will in place, the death of a director or partner of a company can cause unnecessary and complicated problems for the surviving spouse and/or business associates. The Will Writing Service can help to plan for the passing of key persons within a company, ensuring that in the event of death there is a successful outcome. Trading Businesses are subject to Business Property Relief (BPR) or Agricultural Property Relief (APR) which for most businesses means 100% Inheritance Tax (IHT) relief. Without the inclusion of a Discretionary Trust in your Will it is possible that the BPR or APR will not be available when your estate passes to your children. If you would like to find out more about our will writing services, please contact us on our free phone number 0808 100 2467.